Still riding the buzz of its first North American generation, there’s no doubting the 2019 Honda HR-V’s popularity. But how does that popularity translate to the road? Here’s the short answer: not as convincingly as the 2019 Buick Encore’s. Once you’ve taken a spin in the Honda HR-V, you’ve seen it all. In contrast, the new Buick Encore delivers a fresh and exciting driving experience every time you hit the road. See what we mean in our comparison below. Modern is the HR-V’s thing. Buick, on the other hand, likes to celebrate contemporary style while honoring its classic legacy. The Encore is a perfect example of that fusion. It sports a sleek profile, crisp lines, and an intricate grille pattern. The Encore doesn’t just get points for its exterior design. There’s plenty to talk about on the inside, too. With upscale accents, available leather-appointed seating, and QuietTuning™ noise-cancellation technology, the Encore’s cabin is simply too much for the HR-V to compete with. The HR-V outdoes the Encore in the efficiency matchup, but it isn’t by enough to make a fuss over. The Encore ears an estimated 33 mpg in fuel economy on the highway compared to the HR-V’s 34 mpg. There’s a much wider margin when it comes to power. The HR-V generates an admirable 141 horsepower, but the Encore’s 1.4L SIDI turbocharged engine pounds out 153 horsepower. Combine that with the available intelligent all-wheel drive system, and the Encore’s your best bet for sure-footed performance. Honda makes HondaSensing®, its propriety suite of safety features, available for select trims of the HR-V. But Buick is no slouch when it comes to driver-assistance accessories, either. The Encore offers available Rear Cross Traffic Alert, Lane Departure Warning, Forward Collision Alert, and Rear Park Assist. The Encore also offers entertainment amenities that many drivers prefer over what’s available in the HR-V — Bose® audio and Buick Connected Access, to name a few. There’s only one thing the 2019 Buick Encore is missing: you. 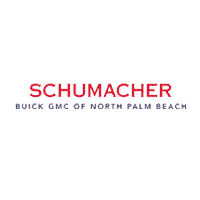 Change that with a test drive at Schumacher Buick GMC of North Palm Beach. We’re proud to be your Buick dealership in North Palm Beach, Florida, and the surrounding areas. 0 comment(s) so far on Is the 2019 Buick Encore a Better CUV Than the 2019 Honda HR-V?